At Global Axiom, we provide turnkey solutions from a nationwide network of licensed and certified security partners. Our goal is to provide comprehensive security solutions that utilize the latest technology which will keep you, your employees, and your business safe. Our highly-trained security experts can design a fully-integrated security solution that's tailored to the needs of your company. 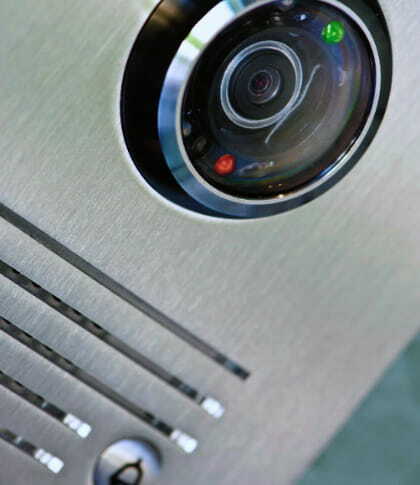 We provide a variety of security solutions such as burglar alarms, video verification, fire alarms, and more. No matter your industry, we have a solution for you. With the solutions at Global Axiom, we can help you improve operational efficiency and increase your profits. We firmly believe that the right security services provide significant value to companies across the country. We employ only the best certified local installation partners around the country, and this enables us to provide complete services for implementing comprehensive security solutions for larger companies that have multiple locations. Our team has extensive experience in the security industry, meaning we know the ins and outs of safety, loss prevention, brand protection, and more. We project manage every installation ensuring you get the maximum security for your business. Our technology is unprecedented, with the latest wireless and digital technologies, our company can keep you connected no matter where your business may take you. The team at Global Axiom aligns the most innovative technology, information, and processes for maximum safety effectiveness and efficiency. We will help create a safer environment for you, your employees, and your customers all while protecting your assets and reducing shrinkage. Let us create a customized security system that’s right for you and your business. Call the team at Global Axiom today at (844) 646-2946 / (844) 6GO-AXIOM or schedule a free security evaluation.